There are many ways that you could be tested. 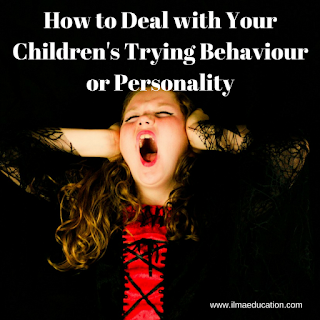 This article deals with tests arising from parenting, specifically, through your children’s behaviour and their personality. The first rule of parenting that you’ll come to realise is that you are your children’s first teacher. Your child will learn everything from you, even your behaviour and attitudes. They watch and they learn. They see you behave in a certain way then they copy it. Children don’t know how to act a certain way unless they’ve seen it somewhere and since you are the one who’s with your children the majority of the time, it is your habits and behaviours that your children will copy. They copy everything – the good, the bad and the ugly of your behaviour. So if you have a certain behaviour that needs improving, your children will have likely picked it up already and use it with you and others. This becomes their behaviour too and they will be the test of this behaviour for you. Are you impatient? Your test will be children who are impatient. Think about it, your children learnt this behaviour from you. If you’re impatient then your children will pick this up and it’ll become a part of their behaviour too. It will then come back to bite you as your children will be impatient with you. How do you deal with it? How do you pass this test? It depends on how you react to your children’s impatience. Do you become impatient with their impatience and then round and round it goes, as it spirals out of control? Or do you change your pattern of behaviour and control your habitual emotions of anger and frustration and act in a calm and kind manner? And We will surely test you with something of fear and hunger and a loss of wealth and lives and fruits, but give good tidings to the patient. Who, when disaster strikes them, say, "Indeed we belong to Allah, and indeed to Him we will return. "Those are the ones upon whom are blessings from their Lord and mercy. And it is those who are the [rightly] guided. If Allah gives you children with great personalities that you love, will you be boastful and compete with others in what your children can do? Or will you raise them to be thankful to Allah and worship Him? If Allah takes away your children such as in death or your child turns away from you then will you remain patient or become angry and question Allah? You can also be tested with something that you despise. It could be a character trait that you dislike in people or in yourself. Allah could give you a child with this character trait. How will you then treat your child? Do you despise, ridicule and punish your child or will you be patient and parent with kindness? For example, you might be an outgoing person and like to socialise and talk to people but one of your children just likes to sit in corners by himself or you could be an active person who likes sports but another of your child is inactive and likes to read instead of playing sport. If you are the type of person who despises shyness or inactivity would you then ridicule and punish your child for it or will you be accepting and nurturing? 1. Examine your children’s behaviour carefully. Look at your children’s misbehaviour and ask yourself if this is a reflection of your own behaviour. If it is then do some personal work on yourself to change yourself so you can model the correct behaviour. 2. Reflect on your children’s personality. Think about your children’s character. Is there something that you love or dislike about it? If it’s something that you love then constantly give thanks to Allah but if it’s something that you dislike then be patient with it and learn to love your children regardless. If it's something that can be changed through a change in attitude for the better then help your children. Before you react, stop yourself and say this “I choose to act…(a certain way)…” so it becomes your choice and easier for you to follow. You are now being proactive rather than reactive. Some examples are: “I choose to act with kindness”, “I choose to be patient” and “I choose be calm and reasonable”. Would you like to be a kinder parent? Take my Better Muslim Parenting Challenge. Would you like to have a better relationship with your child? Get my practical eBook with exercises to do.